From Chinatown to Circular Quay, Sydney City Central Business District (CBD) is filled with things to do, places to visit and things to see. Amongst the many major attractions worth visiting in Sydney city is the AMP Tower Centrepoint, with excellent 360 degree views of the City. Below, you will find major fun shopping opportunities at Pitt Street. 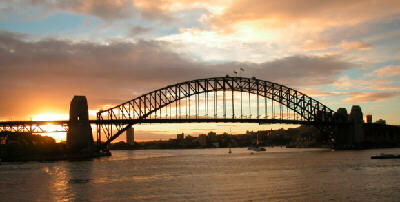 The Rocks, by Circular Quay at the foot of the city, is Australia’s finest restored historical district. Visit the Sydney Information Centre there for a good look at our history and walk the cobbled streets. You will also find excellent restaurants and eateries of all kinds, pubs dating back to the early days, a lively market on weekends and plenty of entertainment. See more about Sydney The Rocks - with Map. Every January, the city celebrates with the Sydney Festival. At indoor and outdoor venues all over the city, there are artwork, music and dance exhibitions. Australian and International theatre during the month is also featured, from Aboriginal to Opera and Contemporary. Many of these events are free. 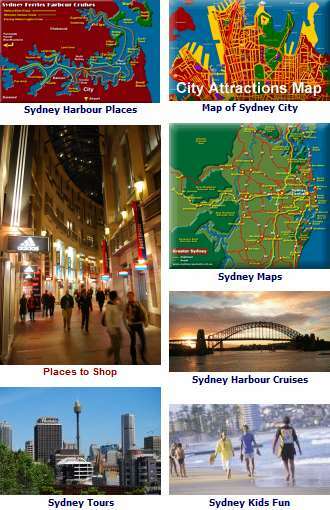 See Sydney Central Business District, suburban and beachside accommodation - Sydney Hotels and Accommodation. In the Sydney City Center, the best places to see includes Sydney Cove, where you can find the Sydney Opera House, the Royal Botanical Gardens and The Rocks with its many attractions. 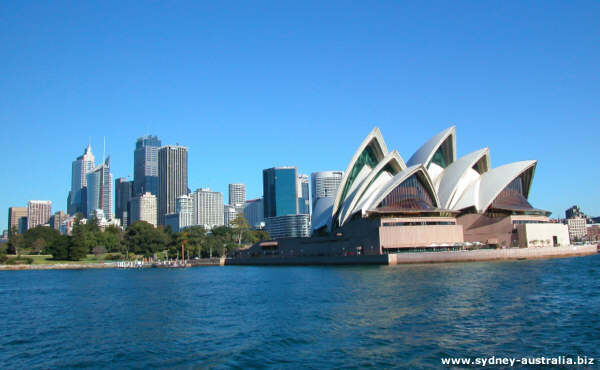 See more about Sydney Australia City Center Places. Sydney Jobs or Studying in Sydney and Australia.